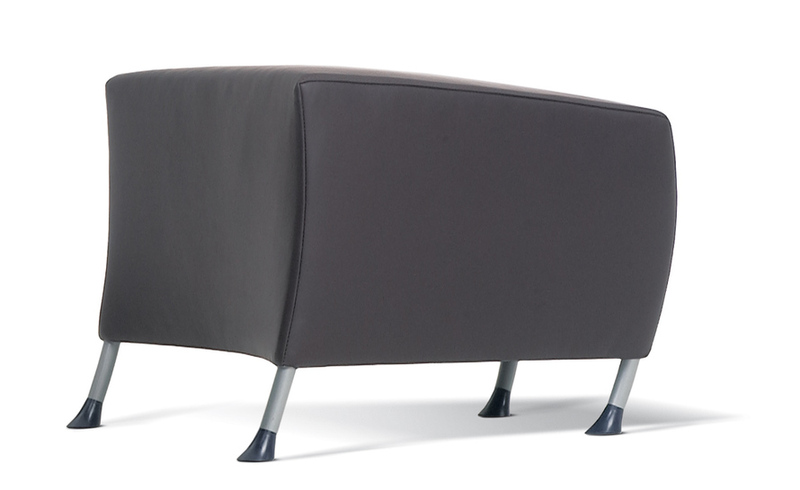 One of the most important and practical features of this ottoman is the modest amount of space it occupies. But despite its compact structure, it guarantees comfort. 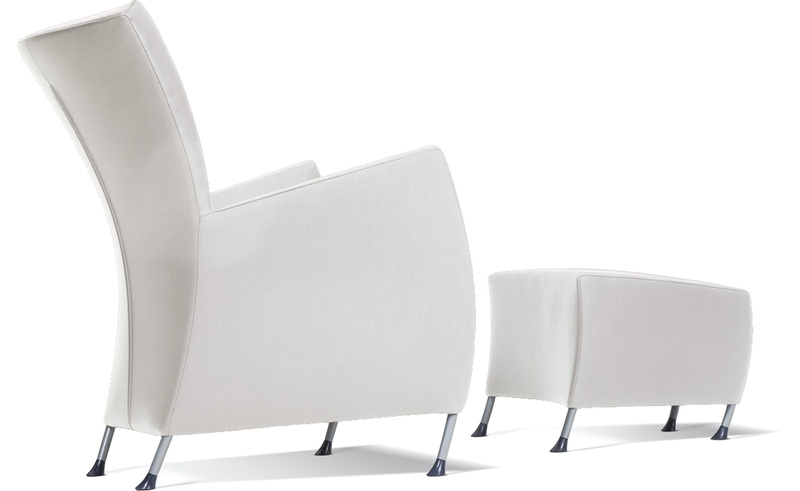 The Windy ottoman continues the shape of the Windy easy chair fluently; therefore the 2 elements can be combined perfectly. Gijs Papavoine studied at the institute of technology and Eindhoven Academy for Industrial Design in the product Design department. 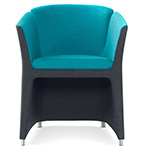 Gijs was employed as a Product Manager at Montis until 1990. 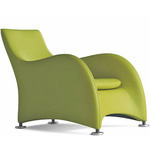 In this capacity, he was jointly responsible for Montis' design philosophy. 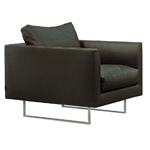 In 1990, Gijs was promoted to dedicated designer of Montis. 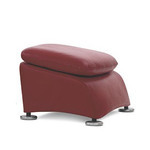 Windy ottoman is available in your choice of a variety of fabrics and leathers, the legs are offered in high gloss chrome and the feet can be transparent, violet or anthracite. $1,075.00 + shipping in the continental U.S.
Born in 1949, Gijs graduated from both the Institute of Technology and the Industrial Design Academy in Eindhoven, after also studying at the Higher Technical Schoo. 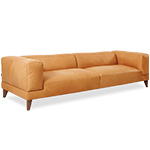 In 1976 he started his career with Montis in the Product Development department and would forever be associated with the company. 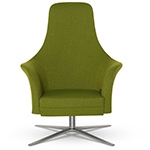 He quickly ascended to the position of Product Manager and shared responsibility for Montis' design philosophy, leaving a clear mark on the company. He was promoted to head of the Montis design team in 1990 and designed models for InterArt; such as Escargot, Sumo and Kibuki. Papavoine’s style is characterized by a clear, graceful and refined interplay of lines, with a strong sense of simplicity. 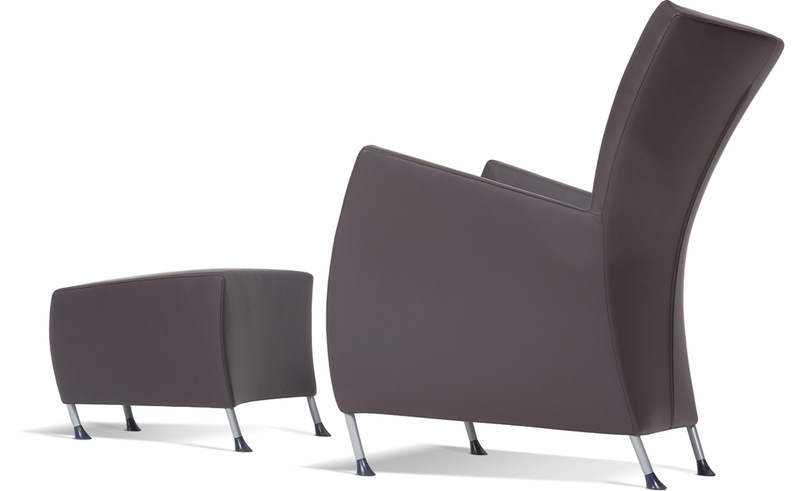 His Basso Lounge Chair, part of a complete seating set for Vandersluis, was awarded the Red Dot Award in 2011.